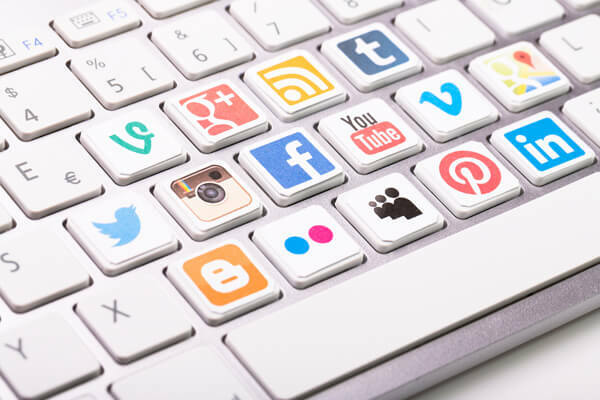 Does your business respond to customers via social media? Are you prepared to deal with upset customers? To discover how to turn unhappy customers into happy fans, I interview Jay Baer. In this episode I interview Jay Baer, the author of Youtility, co-host of the Social Pros Podcast and founder of Convince & Convert, an agency and blog focused on digital marketing. 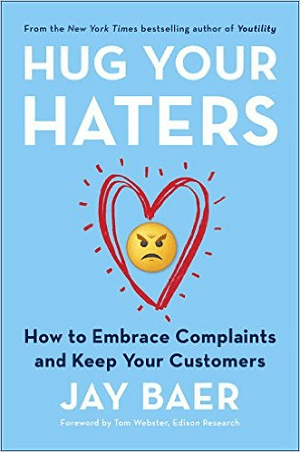 His newest book is Hug Your Haters: How to Embrace Complaints and Keep Your Customers. Jay will explore how to convert social media haters into raving fans. You’ll discover why it’s important to hug your haters. 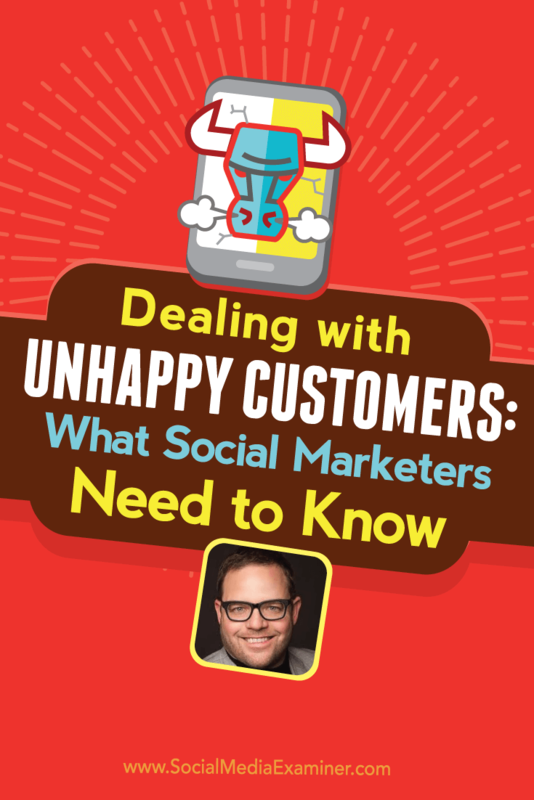 Listen as Jay Baer shares what marketers need to know about dealing with unhappy customers on social media. Hug Your Haters by Jay Baer. The idea of customer service and customer experience has been at the front of Jay’s mind for a long time, he explains. His company Convince & Convert helps major brands with their social media and content marketing, and they increasingly get involved in issues with customers. It’s not just about being proactive and doing marketing, Jay says. You have to be just as good, if not better, at reactive customer service. Jay found even organizations with a lot of resources were befuddled by everything related to digital customer service and experience in the modern world. Jay shares how conducting a tremendous amount of research with Tom Webster from Edison Research changed the focus of his book. Last year at Social Media Marketing World, Jay did his “Hug Your Haters” presentation for the first time. Although he has taken the Youtility concept all over the world, Jay says the Hug Your Haters book is the best thing he’s ever done and the speech is the best speech he has ever given. Listen to the show to learn what Tom Webster said he liked about Hug Your Haters in the forward to the book. Jay refers to anybody who complains about a business either off stage or on stage as a hater. An off-stage hater is somebody who complains in private: on telephone and email. An on-stage hater is somebody who complains in public: social media, review sites, discussion boards and forums. He shares that historically and even currently, the majority of people complain off stage but that the pendulum is swinging the other way because it’s much easier to reach out to a brand on Facebook, Twitter or beyond than it is to send an email or wait on hold. When people complain off stage, they almost always want an answer. They have a problem they want to be fixed, and 90% of the time they expect companies to respond. When people complain on stage, they don’t necessarily want an answer; they want an audience. 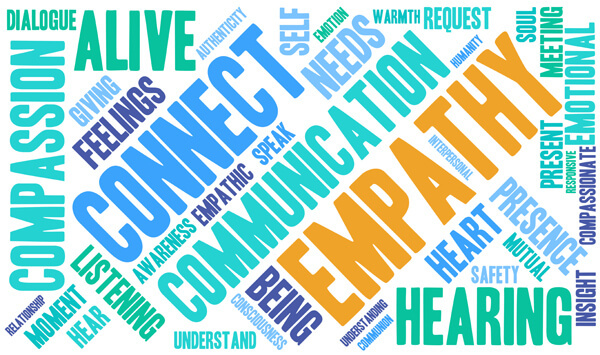 They want people to empathize and engage with them around their experience. If they actually hear back from the company, it’s a bonus. People who turn to social media to complain, are looking for empathy. Image: Shutterstock. Even though only 47% of the people who complain in public actually expect companies to get back to them, Jay says their research proved that if you actually answer the person who had a bad experience and left a review online, it has a meaningful and significant impact on your customer advocacy. Listen to the show to discover how content shock also applies to disgruntled customers. Jay says haters are not the problem, ignoring them is. He believes there are multiple benefits to answering every complaint in every channel every time, instead of what most businesses do today, which is answer some people some of the time in the channels they prefer. Second, every time you answer a customer complaint, it increases customer advocacy. It takes a bad situation and it makes it better. Third, when you actually interact with negative customers, you learn things about how your business is perceived that you can then use to make your business better. 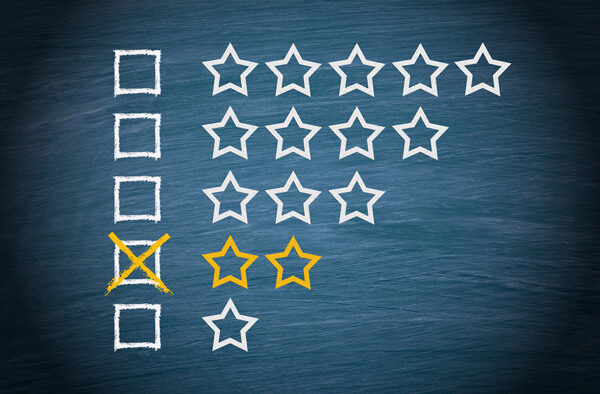 Negative reviews and comments can help you improve your business. Image: Shutterstock. Jay shares why Erin Pepper, the Director of Guest Relations for Le Pain Quotidien wanted to triple the number of complaints they received, and reveals why the 5% of people who complain are the most important customers you have. Listen to the show to hear the reason people take complaints personally and why they shouldn’t. The first step on the road to hugging your haters is to find them. In social media people don’t necessarily complain directly. If someone calls or emails you, you know about it. However, if they mention you on Twitter, Facebook, TripAdvisor, G2 Crowd or TrustRadius, it’s up to you to dig deeper to find all this commentary about your organization. That’s where social media listening software comes into play. After you find your haters, step two is to answer them. Hugging your haters means you answer every complaint in every channel every time, Jay explains. That does not mean that the customer is always right, Jay explains. It means the customer is always heard. To hug your haters you need to answer every complaint in every channel every time. It’s not free or inexpensive to answer everybody. You just have to decide it’s worth it. To help you save time while engaging, Jay shares this rule: reply only twice. He says you should never ever answer a customer more than twice in any public setting and explains why. Listen to the show to hear why the spectators are more important than the haters. Jay says that when you respond to a hater, especially online, you need to have empathy because you have upset or disappointed this person at some level. 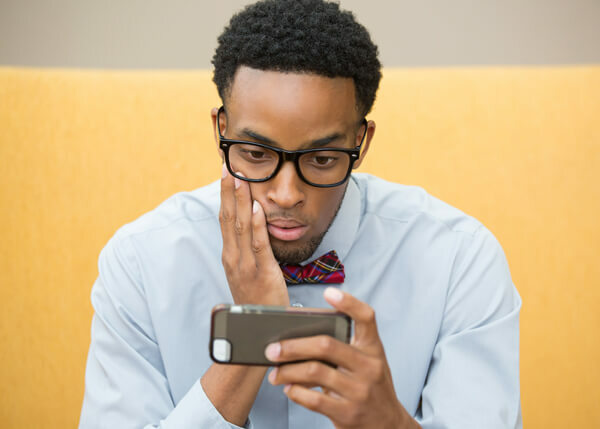 He shares that many businesses and individuals who take the time to respond, do so in a way that is so devoid of caring, feeling or empathy, they actually make the situation worse. Jay suggests that instead of trying to represent “The Organization,” you should deal with people on a one-to-one, human level. He says a lot of showing empathy has to do with tone. Respond as a human, not an organization. Image: Shutterstock. Jay shares an example from Shutterstock, which he uses in the book. When they had a big outage in early 2015, a guy tweeted, “The website’s down. It’s not me, it’s you.” Shutterstock answered, “It’s not you, it’s definitely us. We’re really sorry.” And the representative signed her name. She was getting three tweets per second, and answered everyone personally with humanity in such a way that it was obvious she’d read their complaint. Just because we need to be faster in social media doesn’t mean we should copy and paste the pre-approved legal response, because that is not empathy, Jay adds. Another thing to keep in mind is that if you have to switch channels (to discuss account details, for example), switch within the channel of the customer’s choice. If they reached out online, don’t ask them to call or email you. Initiate private interactions with a message on their preferred platform, whether it’s Facebook, Twitter, Yelp or TripAdvisor; each one has a messaging option. Jay shares a few examples of people doing social customer service well. He includes recent podcast guest Dan Gingiss, who pioneered the customer service program for Discover Card, and KLM, the national airline of the Netherlands. They answer about 60,000 tweets a week, 24 hours a day, in 14 different languages. If you tweet them at 3am in Turkish, KLM will tweet back at 3:10am in Turkish. Listen to the show to discover why Jay believes many companies have the wrong people on the front lines of customer service. Handle trolls or crazies the exact same way as you handle any other hater, Jay suggests. That way, you are not on record as picking and choosing who gets a response. The only time you shouldn’t answer someone is if they’ve done something outlandish that is a personal attack or a threat, Jay says. In those cases document everything and call law enforcement. Some people will surprise you. Image: Shutterstock. The customer took a screenshot of the email response and put it on Instagram and Facebook, where it went viral. Instead of apologizing, the guy at the florist said, “I know where you live, and I am going to come over to your house and settle it personally.” At that point the owner became aware of the situation and got involved. The owner said the guy was fired, they were sorry and new roses were on the way; she did full damage control. Even better is the policy of Umpqua Bank in Oregon. At the bank, it doesn’t matter who you talk to or what the situation is, the first person you talk to will own your problem all the way through resolution. It’s called the “We Own It” policy, and it’s a great model for others to follow. Jay explains that although we who work in social media know it makes more sense to keep current customers, readers, podcast listeners and email subscribers than it does to constantly get new people, we don’t actually operate that way. Each year $500 billion are spent on marketing, and $9 billion are spent on customer service, he shares, which makes no sense. He believes we have to understand the value of somebody who is already in our tribe and be a lot less quick to turn our back on customers we think don’t like us. Listen to the show to discover how to get an electronic version of Hug Your Haters before it’s released in March, as well as incentives for buying copies in advance. Zoom is an easy to use tool that lets you host audio or video meetings and include screen sharing, even from your iPhone or iPad. The setup is quick, and you can have up to 50 people in a meeting for up to 40 minutes on the free plan. Simply send someone the link to your meeting room with the code to get in, and you can be right there waiting for them. What’s great about Zoom is that Erik hasn’t dealt with the typical lag time or crashing issues that sometimes happen on Skype, Google Hangouts or even Blab. 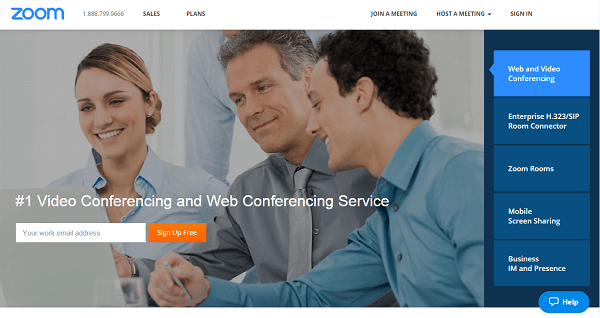 Zoom is a wonderful tool for online meetings. Zoom is accessible on desktop and mobile, and you get a bunch of the features for free right up front. There’s also a pro level plan that’s $14.99 a month, a business level for $19.99 a month and an enterprise plan. Listen to the show to learn more and let us know how Zoom works for you. Michael Hyatt, author of the New York Times Best Seller Platform: Get Noticed in a Noisy World and founder or Platform University, will be presenting at Social Media Marketing World 2016. He is going to be talking about how to develop and sell products to your blog customers: seven ways to generate a six-figure income or more in 12 months. The former CEO at Thomas Nelson Publishers, Michael Hyatt has been successful at creating information products to support his niche. If you have a blog, and you want to figure out how to make products and sell them successfully, Michael is the guy. 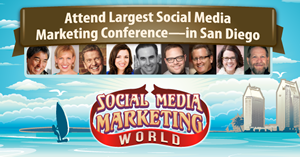 This is just one of 100 sessions at Social Media Marketing World. Get your copy of Hug Your Haters now. Order Hug Your Haters: How to Embrace Complaints and Keep Your Customers from Amazon. Learn more about Tom Webster and Edison Research. Read a recap of Jay’s “Hug Your Haters” presentation from Social Media Marketing World 2015. Check out Dave Kerpen’s thoughts on dealing with customer complaints. Learn about TripAdvisor, G2 Crowd and TrustRadius. Try out social listening tools, such as Google Alerts, Mention, Hootsuite and Buffer. Explore Shutterstock, Discover Card, KLM and Umpqua Bank. Read Platform: Get Noticed in a Noisy World by Michael Hyatt and explore Platform University. What do you think? 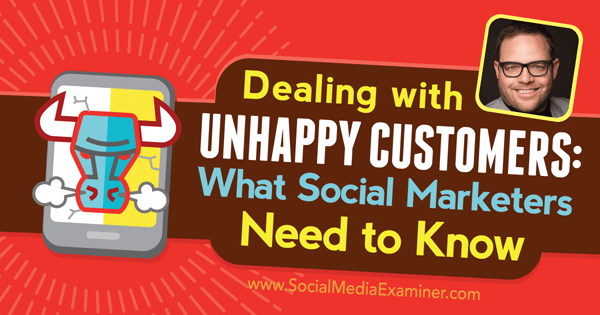 What are your thoughts on dealing with unhappy customers? Please leave your comments below. Social keyboard photo, Star rating photo, Wordcloud photo and Surpised man photo from Shutterstock. 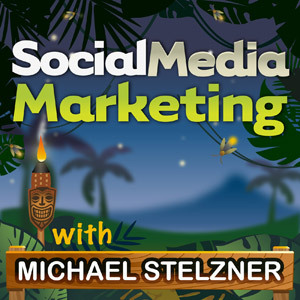 Jay Baer talks with Michael Stelzner about how to deal with unhappy customers on social media.